There is a very interesting company out there called CarMD. They manufacture an automotive diagnostic tool and software for car repair and maintenance. Using their internet connected device, they are able to collected and correlate data to find trends in automotive repair across North America, and they share it with the automotive community to help mechanics better serve their clients and customers make better choices about their car repairs. Art Jacobsen, CarMD’s vice president, says that while car manufacturers are building vehicles to last longer, cars have also become more difficult to repair. Using the numbers from CarMD, which are based on 170,000 vehicle repairs for which vehicle owners and technicians submitted details to the company’s diagnostic system compiled from 1996 to 2010, MainStreet breaks down the 10 most common car repairs and provides some insight into which can be avoided. It is important to note that some very common repairs, like breaks and tires, are not shown here because the engine computer is not notified of their replacement. Only electrical items are represented below. This is a repair car owners bring on themselves when they attempt to install after-market alarms (or other hands-free devices, car stereos, etc.) on their own. “When owners add things to their vehicles, they tap into circuits for convenience,” Jacobsen explains. “But that takes power away from something else” and can potentially lead other systems to fail. Leaks in the intake manifold gasket, which prevent leakage of air or the mixture of air and fuel between metal engine parts, can also contribute to larger problems with a car’s fuel economy, emissions and engine performance. Ignition coils essentially tell the spark plugs when to do their job, and ignoring a problem with them can do serious damage to your car’s entire ignition system. Determining whether or not there is problem with the ignition coil typically involves going through a diagnostic test. Problems with the engine coolant temperature sensor, a sensor that does exactly what its name suggests, was actually only the ninth most common repair when CarMD analyzed its data over a 14-year timespan. Problems with the exhaust gas recirculation valve, a part of the emissions system responsible for recirculating a portion of a car’s exhaust through the engine a second time, was actually the fourth leading cause of vehicle failure in a separate list compiled by CarMD. Another small part that can cause big problems is the spark plug, which is responsible for igniting fuel in the cylinders. According to CarMD, replacing a spark plug on your own can cost less than $10. However, because faulty spark plugs can reduce your gas mileage or melt your car’s significantly more expensive catalytic converter, having them replaced by a certified mechanic may actually be worth the added expense. Jacobsen says repairs to the mass air flow sensor, which measures the amount of air supplied to the engine and determines how much fuel should be delivered to it, also typically indicates a preventive maintenance issue. “It stems from not replacing your air filters,” he says, estimating that doing so would cost around $25 compared to the $400 you’re likely to shell out for a new sensor. According to Jacobsen, the costliest repair in the top 10 should never have made the list to begin with. 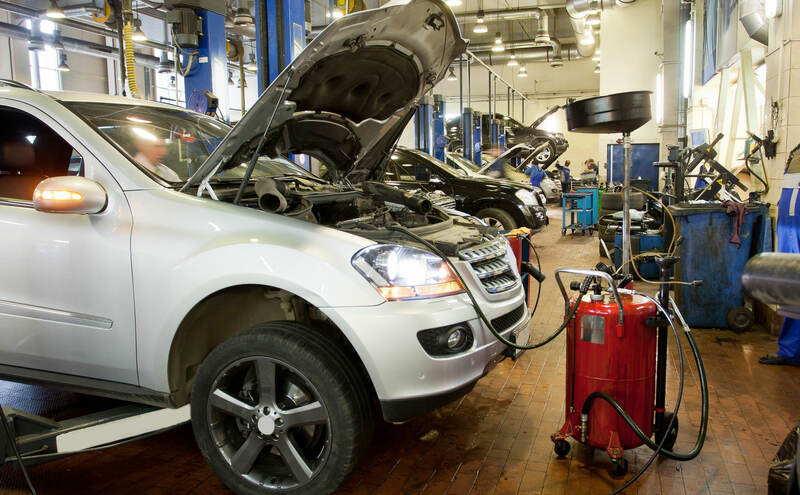 This is because catalytic converters, which are responsible for controlling a vehicle’s emission system, typically only fail when a smaller, related part – such as a spark plug or fuel injector – is ignored for too long. “It’s a case where not taking care of something small leads to a big repair with a hefty price tag,” he says. A leading reason the pesky “check engine” light turns on, loose or missing gas caps cost very little to fix but can cause car owners tons of money if left unattended, since the problem can result in a 0.5% decrease in gas mileage. CarMD estimates that lost, damaged or missing gas caps cause 147 million gallons of gas to evaporate every year. According to Jacobsen, the oxygen sensor, which monitors the amount of unburned oxygen in the exhaust and tells the car’s computer when there is either too much or not enough gas in the tank, should really be a do-it-yourself repair. However, he says, manufacturers have increasingly taken to strategically placing a special cover over the sensor that requires a special tool – conveniently on hand at most dealerships – to open. “They make it much more difficult to get at,” Jacobsen says, and cost owners a few hundred dollars in the process.